29" overall with a 22 1/2" long single edged wide blade with a clipped point. A single fuller on both sides for most of the length, stamped with eyebrow marks along the back edge. "Valencia" stamped several times within the fuller. Spanish blades were highly prized throughout Europe during this period of time. 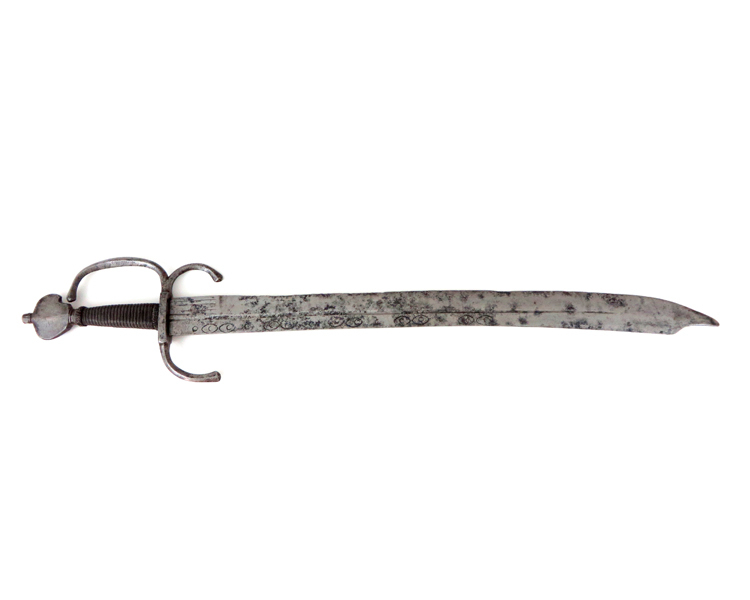 Iron hilt with downturned quillons and knuckle-guard of diamond section. Wire bound wooden grip with turks heads. 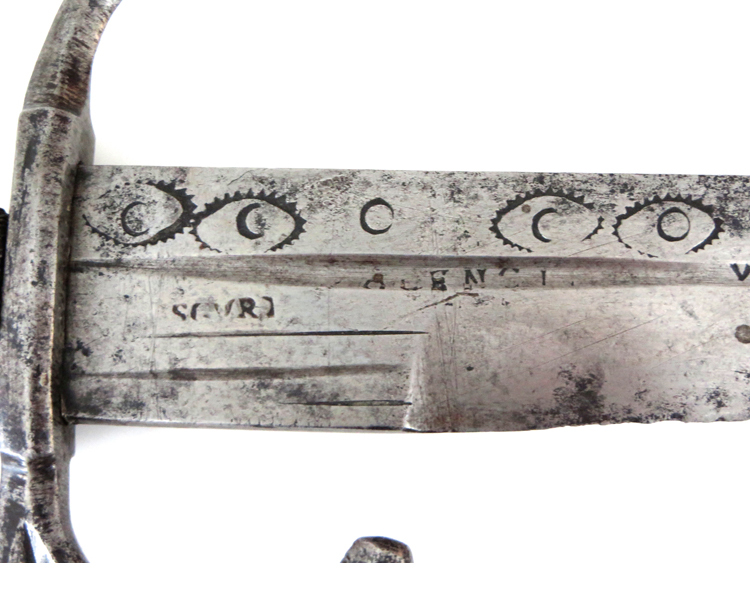 Blade with some scattered pitting, but for a rare and early fighting weapon, it is in surprisingly good condition. Similar examples are preserved in the Palazzo Ducale, Venice. Provenance: Joe Kindig Jr. collection, York, Pa.